As photographers, we have a tendency to acquire gear and this accumulation can get costly. We also tend to carry a lot of it around with us. Now imagine needing to replace all this gear if it were stolen. Never mind the cost, just imagine the gutted feeling and overwhelming sense of needing to start over. Luckily, there are some things you can do to help protect your gear from theft. Before you do anything else, take an inventory of what you have in your bag or what you are traveling with. This will help you both keep track of what you have (and know if anything goes missing) but will also be a great help should anything be stolen. It’s also a good idea to photograph your gear, including serial numbers, as this will help you to identify stolen gear. I travel a lot and am always amazed at how many people I see with branded camera straps. I know you’re happy to have that Nikon D810 hanging around your neck, but the camera strap announcing this only lets the informed know that you have at least $4000 hanging from that strap. It’s easy to replace that branded strap with a less obvious one, and you can also get a padded one for extra support. Similarly, you don’t want to go around with Canon or Nikon emblazoned on your camera bag. It might not reveal the exact model, but it can draw unwanted attention to your gear. 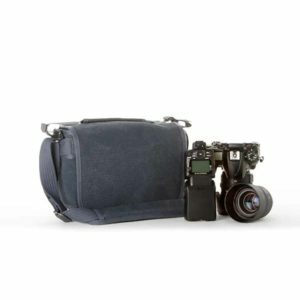 I travel with a Think Tank Retrospective 5, which looks more like a messenger bag than a camera bag. Added benefit: It has Velcro sealers, so I know if someone is trying to open it. There are times, such as lunch, when you need to put away your gear. I can’t tell you how often in my travels I see someone just set their camera on the table or hang it from their chair. A woman I was traveling with in Peru lost her camera by doing just this. If you really need to have a camera ready at all times, use a compact camera or iPhone for such occasions, which you can tuck away in a pocket while safely keeping an eye on your more expensive gear. Tagging your gear provides two possible benefits. First, a thief may pass on tagged gear simply because it’s harder to sell (assuming you have labeled in a noticeable way). Second, the tag may help you recover stolen gear, either because someone noticed it or because it helps you easily identify it as your equipment. Tagging can include labels, barcodes, or etching information into your camera body. Tagging is not for everyone—some fear it will reduce resale value while others don’t see it as a true deterrent for thieves. The simplest form of alarm is a tilt or motion-detection alarm. Put it inside your case or bag and it will emit an alarm if someone picks it up and walks off. There are also apps for iPhones and other devices that work in a similar way. For instance, with hipKey you simply download the app to your phone and put the dongle in your camera bag. You can set it to alarm if the bag is moved, or if your phone and the bag become separated more than a certain distance. First, be sure to register your equipment—register your Canon 70D with Canon and your Sigma 50mm lens with Sigma. This will help establish ownership if your gear is stolen. There are also third-party providers that offer extra protection. I use LensTag, though there are many others offering similar services. With LensTag, your registration will be verified to ensure you actually have the equipment in your possession. If you flag an item in your account as lost or stolen, LensTag will create a public page containing information about the item and a contact form that gets indexed by search engines, letting the world know that the item is missing or stolen. For added piece of mind, look into insurance. The expense can be minimal compared to the coverage you get. With most policies you will get theft and loss coverage, along with damage insurance and even coverage for gear you’ve rented or borrowed. 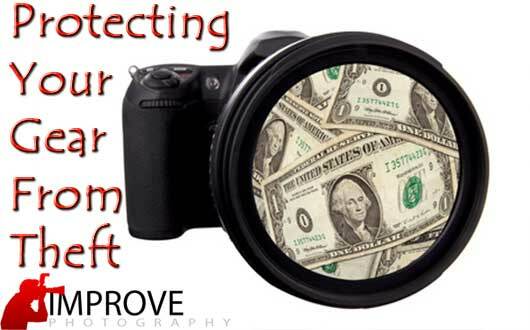 There are numerous different companies offering photography insurance (an Internet search will reveal many). Be sure to compare rates and coverage as they vary quite a bit. 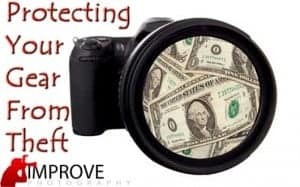 Joining an organization like Professional Photographers of America (PPA) or American Photographic Artists (APA) can give you access to even more insurance options. Jeremiah Gilbert is a college professor, photographer, and avid traveler. His first love is landscape photography, though he also enjoys urban exploration and street photography. Through his work with models, both in studio and on location, he has been internationally published in both digital and print publications. His blog, photo portfolio, and travel tales can be found at www.jeremiahgilbert.com.